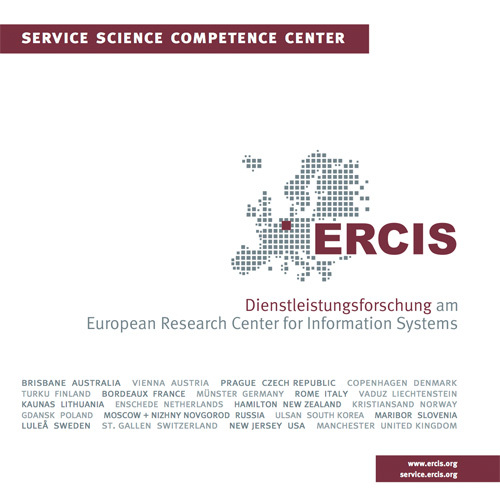 ECIS 2017 | ERCIS Competence Center "Service Science"
ECIS 2017 will take place in Guimarães, Portugal at the Centro Cultural Vila Flor and is hosted by the Department of Information Systems of the University of Minho. The aim of the ECIS 2017 is to discuss the fundamental issues related to the role information systems research and education can play in creating a smart, sustainable and inclusive world. Next to Jan Pries-Heje (Roskilde University, Denmakr) and João Álvaro Carvalho (University of Minho, Portugal) Prof. Becker contributed as the conference Program Chair.